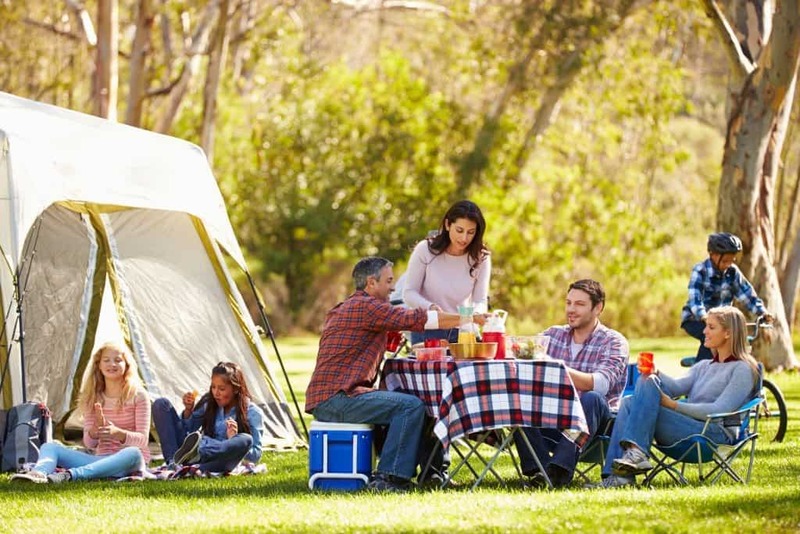 Father’s Day is just around the corner, and if you’re looking for a fun family bonding activity than Father’s Day camping trip may be just what you need. Spending days surrounded by only nature, leaving behind your electronic gadgets, and sleeping under the stars is not only fun, it’s therapeutic. And by camping in June you’ll get to enjoy the summer season before the heat wave hits. In short, a June camping trip is a fun way to celebrate Father’s Day. Go beyond sandwiches and soup for your campfire meals. With the right tools, you can enjoy campfire nachos, mac ‘n’ cheese, and barbecue chicken and veggies. For dessert, you can stick to the classic s’mores or try something healthier such as campfire pies or campfire-baked apples—apples stuffed with nuts, dried fruit, cinnamon, butter, and nutmeg, wrapped in tinfoil, and baked by the fire. Letting the kids get involved with the cooking process will create lasting memories for you and the children. There is so much you can do during the day—from hiking and bird watching to fishing and canoeing. It the perfect opportunity for your children to learn new skills such as map reading. For your younger kids, you can create nature scavenger hunt worksheets, so you and the kids can go exploring and mark off the animals, insects, birds, and plants that you spot together. You can also check to see if there are any geocaching opportunities near your campsite. After a long day of enjoying nature activities, you’ll still need games to keep the kids entertained after dark. When the sun sets you and your kids can take out an amateur astronomy book and examine the stars. You can tell campfire stories, sing campfire songs, or play shadow puppets. You can also play flashlight tag together or create games such as glow in the dark ring toss. Looking for more camping tips, such as where to go and what to pack? Check out this park article from last year’s Mindful Travel Series. It will give you a few quick ideas on how to make the most of your outdoor adventure.